If you or a relative are in a nursing or care home because of physical or mental health needs you may be paying fees that should have been funded by the NHS. This means the NHS may be liable for the full cost of paying for care, including accommodation and nursing costs if you live in a care home or pay for nursing care at home. Many thanks for your request to download the Carepal Guide to NHS Continuing Healthcare. Your free guide will be emailed out to you within 24 hours. What is NHS Continuing Care Funding? NHS Continuing Healthcare is the name given to a package of care that is arranged and funded solely by the NHS for individuals who are not in hospital who have complex ongoing healthcare needs. What if your care needs change? If you receive NHS continuing healthcare or any other long-term care funded by the NHS, your needs will be reviewed no later than three months after the initial decision was made about your care. After that, your care needs should be reviewed at least once a year. Some people will need reviews more often than this. The review of your care needs is to see whether your needs have changed, to check whether you are still entitled to receive NHS Continuing Healthcare and to decide whether your care plan needs revising. If you have a disability, or if you've been diagnosed with a long-term illness or condition, this doesn't necessarily mean that you'll be eligible for NHS Continuing Healthcare. To find out whether you are eligible for NHS Continuing Healthcare, your care needs will be assessed. In your own home - the NHS will pay for healthcare, such as services from a community nurse or specialist therapist, and personal care, such as help with bathing, dressing and laundry. NHS Continuing Healthcare is free, unlike social and community care services provided by Local Authorities for which a charge may be made, depending on your income and savings. We are able to provide specialist support should you have to appeal an NHS Continuing Healthcare funding decision. 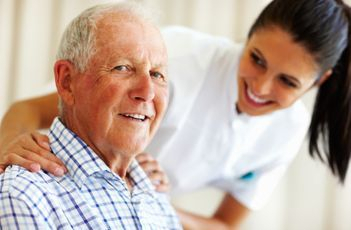 Carepal is very experienced in dealing with numerous Local Authorities and the NHS over eligibility for means tested benefits and who is responsible for the funding and provision of the care.